Whether despite or because of the pop star’s contributions, the disc became surprisingly successful, especially considering it was the first release on a new indie label, Contractor/Amada Records. The buzz led to its founder, a Jamaican marketer, producer, and entrepreneur named Sean “Contractor” Edwards, releasing a thematic companion piece, Hip Hop Cruises to Jamaica. Try hearing the two compilations together with another recent anthology, Step Forward Youth, on the venerable reggae label VP, which unites tracks that inspired the scrappy mid-1970s alliance between British punks and Rastas. These three collections clinch the significance of one Caribbean island in altering the evolution of pop. They also function as a focus for debate: Who gets to reap the rewards when creativity spreads and mutates? Do cultural leaps forward come down to individual Great Originators, or can they “belong” to the communities they have built, as well as to their place of origin? And, above all, who should—and does—get paid when an underground sound rages around the world? But the problem arises when creators don’t reap the benefits financially, as has all too often been the case. Sixty-nine-year-old Jamaican DJ Big Youth, who appears with singer Dennis Brown on Step Forward Youth, forcefully exclaims, “Historically, Jamaican artists have been defrauded and disrespected from every angle and in every way. Since I began in the 1970s, people have claimed they own the rights to my music, when they never wrote a line, and I never signed anything with them.” In that knowledge, reclamation is foundational for the Cruises albums—a spirit that also motivated contributor Damian Marley, the founder of the real-life cruises that inspired Contractor’s theme. Now in its sixth year, Damian’s Welcome to Jamrock Reggae Cruisehas flipped the script on the narrative of Jamaican tourism. Traditionally, musicians would perform in an onboard band for foreign promoters, or make a few shekels by playing at the foot of a cruise ship gangplank to welcome tourists being funneled into a consumer experience. But Damian’s floating reggae nations allow artists banned from the U.S. to access American audiences and get a chance to progress—a motivation the reggae scion shares with Contractor. Contractor’s list included Ed Sheeran’s musician cousin, Jethro, who tells me, “It was refreshing to feature Ed and myself, who grew up in reggae, alongside artists of this caliber.” UK youth like Ed and Jethro, who are part of a large family with Irish roots, had their worlds remixed by the sort of Jamaican music chronicled on Step Forward Youth. Growing up, Ed would hang out with Jethro in Bristol’s underground dub clubs like the legendary Dugout, the crucible of bands like Tricky and Massive Attack. “I grew up with all these people; they were my peers,” says Jethro. The Sheerans benefitted from Jamaica’s reverse cultural colonization of its former controllers. Step Forward Youth spotlights Jamaican inspirations alongside bands that were not only British, but black. (Britain became far more diverse after Afro-Caribbean postwar migration from the former colonies.) Punk was the first time that black, white, and mixed bands had performed together in the UK. Iconic tracks on Step Forward Youth include Culture’s “Two Sevens Clash,” Lee Perry’s “Roast Fish and Cornbread,” and Dillinger’s “Cokane in My Brain.” Unusually, they appear alongside tracks by British combos like Reggae Regular, Capital Letters, and Aswad, with their anti-police song “Three Babylon,” one of UK reggae’s first 12-inch singles. Giving a real flavor of economically challenged ’70s Britain, the underrated Keith Hudson voices the West Indian immigrant’s plaint with “Turn the Heater On.” These tunes helped bands like the Clash forge their identity. But the Punky Reggae Party, as Bob Marley called the scene, is just one of Jamaica’s multiple contributions to global pop. The roll call includes ska, which has inspired waves from punks to surfers, through to the vast tribe of children of Jamaican dub music—the first sound to use the recording studio as an instrument—that helped spawn electronic dance music. Like Adam’s rib, one phrase sampled from Jamaican dancehall artist Shabba Ranks’ “Dem Bow” birthed the world-conquering genre of reggaetón. Thus it should be no surprise that when juxtaposing the Tropical House Cruises and Hip Hop Cruises collections, we hear two cultures clash. The former really does sound like a nice mellow vacay compared to the hip-hop collection, which suggests the listener had better be on guard all the time. 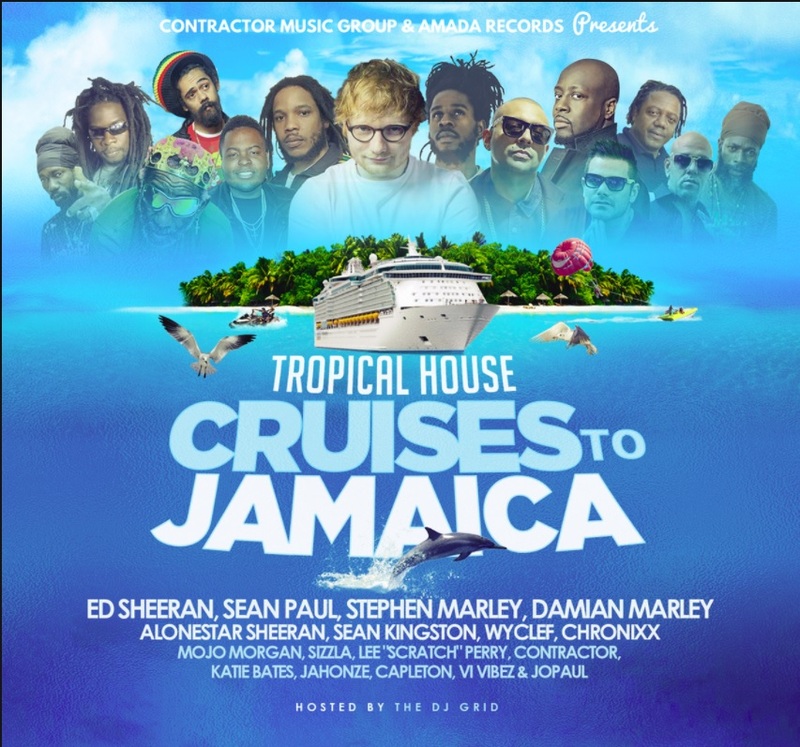 On the Tropical House Cruises to Jamaica CD, with Jethro performing as Alonestar, the Sheeran cousins work reggae’s inspirational heritage with “Raise ’Em Up.” Humor radiates from Mojo Morgan and the Marleys’ “Million $ Check.” Even Capleton’s confrontational “Pain” sways with melody. Songs directly referring to money or the lack of it, like “Good Life” by Rollie Fresh and Chronixx, invoke charity and unity as part of material improvement. 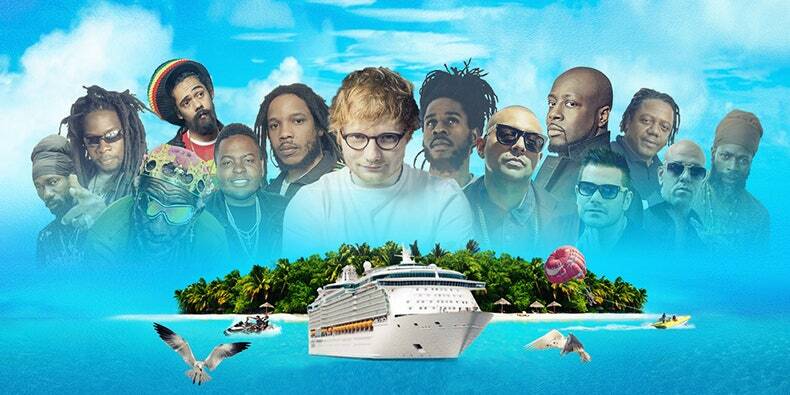 Seeing the softer, more accessible Tropical House Cruisescompilation sail into mainstream-media waters prompted Tiffany Gaines, CEO of the label SS Global/Ingrooves (an affiliate of Universal Records), to approach Contractor about making a rap hybrid anthology: Hip Hop Cruises to Jamaica. The idea had deep roots. Are we solely our inherited DNA, or are we more than the sum of our plasma? Can we use culture as a tool to build a more constructive future? The combined energy and significance of these three compilation releases suggests that we can.